Fit Tea Review (UPDATED 2019): Don't Buy Before You Read This! Fit Tea is a weight loss tea brand available in a 14 or 28 day detox formula made to work alongside a diet and exercise plan. It’s claimed that with the combination of herbs and weight loss ingredients, you’ll be able to increase metabolism, energy, and immunity. They do admit that weight loss can vary depending on the person, and they don’t list exactly what might be a standard result. It’s advised to drink this tea daily, and to drink it in the morning due to the caffeine content which can keep one up at night. This tea became popular on the social media site Instagram due to endorsements from fitness models. Is there truly a possible weight loss effect? How much different is this from a standard cup of tea? This Fit Tea review will provide you with the information needed to make a decision. Organic Green Tea: Common unfermented tea known to contain high levels of antioxidants. Though it’s made to help with weight loss, it’s believed this is only due to the added caffeine, and not anything else in the green tea itself. More information needs to be published to know what kind of an effect it truly has. Like the other ingredients in Fit Tea, it’s unknown how much caffeine is added. It’s suggested to be the same as a cup of coffee, but no specific milligram strength has been listed. Rapid heart rate, increased blood pressure, and cardiovascular issues. Nausea, vomiting, and ill feelings. Anxiety, paranoia, and mood swings. Withdrawal symptoms such as cold sweats and shakes. Jitters, muscle spasms, and twitching. Allergic reactions including skin rash. The FDA has sent warning letters to companies who make health benefit claims about this ingredient. According to their findings, there’s insufficient evidence to support the use of this ingredient as a benefit to overall health. It’s also important to know what part of the pomegranate fruit is added, as certain parts of it can be potentially dangerous. Information on this ingredient is lacking. It’s unknown what kinds of effects it may have. Jitters, muscle spasms, and shakes. Rapid heart rate, cardiovascular damage, and increased blood pressure. Feelings of anxiety and mood swings. It’s unknown how much of this is added to Fit Tea. So it’s impossible to determine overall safety. The stimulant effect can be potentially dangerous, especially when it’s mixed with other similar additives. The intended weight loss benefits are said to come from the added stimulants. Though it’s unknown if this is any better than any other stimulant heavy formula. Other ingredients which haven’t been proven for weight loss include pomegranate and rooibos. Neither has shown to be effective for reducing weight in any clinical studies. The added green tea and guarana are added due to their caffeine, though they can easily be replaced for cheaper if they’re bought separately. The one effective and safe ingredient for weight loss is Garcinia Cambogia, but overall the formula isn’t unique or likely to produce long lasting benefits. This is because stimulants like caffeine build a tolerance, where the only effect is sleep loss. Caffeine is not considered a potent weight loss ingredient, and people can potentially experience many side effects. A 28 day supple costs $45. This is particularly expensive for a brand that combines common tea ingredients, some sweeteners, salt, ginger, lemon, and other stimulants. It’s much cheaper to buy these ingredients separately, though there’s no proven weight loss benefit that isn’t strictly caffeine based. Though as mentioned, caffeine isn’t a long term solution or a particularly impressive weight loss ingredient. The tolerance effects can dull any of the metabolism boosting offered. Therefore, it’s not a very reliable ingredient. It’s not unknown exactly how much caffeine is added, nor is there any information on any other ingredient strengths. This makes it impossible to determine your own caffeine limits. Not everyone responds to this stimulant the same, and it’s important to avoid other similar ingredients in foods to reduce the rate of potential side effects. The lack of information will make it hard to know whether or not this would be a safe tea to drink. People were frustrated with the way the way the company handles their customer service division. Many had issues with shipping, with a lack of an order confirmation to which people were still charged. There are many who tried contacting the company, but they couldn’t reach anyone. Some mention that they tried contacting the phone number on their Better Business Bureau page, but that it was disconnected. It’s important to make sure the companies you deal with can promptly answer questions, and provide information in case of any issues. Judging from the many negative reviews, it’s unlikely that one can communicate directly with the company. Users often listed side effects and a lack of weight loss benefits as concerns. Some claim it’s a greatly overpriced tea, and that it’s no better than other stimulant heavy drinks. To those who were already used to tea and coffee, there’s mention that Fit Tea isn’t unique. No money back guarantee is offered either. So if one were to experience the side effects that some list, you’d be unable to get your money back. It’s unknown how to reach the company at this time, as they only provide an email. Conclusion - Does Fit Tea Work? Before you make a final decision on Fit Tea, it’s important to keep in mind that the ingredients added for weight loss are common to other tea blends. This is why several customers have mentioned it’s just a standard tea mixture. People have also complained about side effects, as well as there being no supportive customer service. This tea blend relies strictly on caffeine for weight loss, and this can be substituted with much cheaper ingredients. However, a much better solution for long term weight loss is all natural, stimulant free ingredients, combined with a full diet plan. The 18 Diet Plan was rated the best of 2019’s diet plans, due to its comprehensive and customer approved weight loss results. People have raved about the easy to achieve weight loss results. This diet plan features a hunger satisfying meal replacement, a metabolism booster with potent clinically studied ingredients, and a diet book for support. The 18 Diet Plan offers a 30 day money back guarantee on the provided supplements and meal replacement. That’s one of the many reasons why customers continue to use it to lose weight. 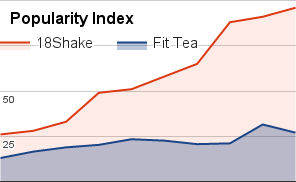 How Does Fit Tea Compare? Great tea, helped me lose tons of weight! 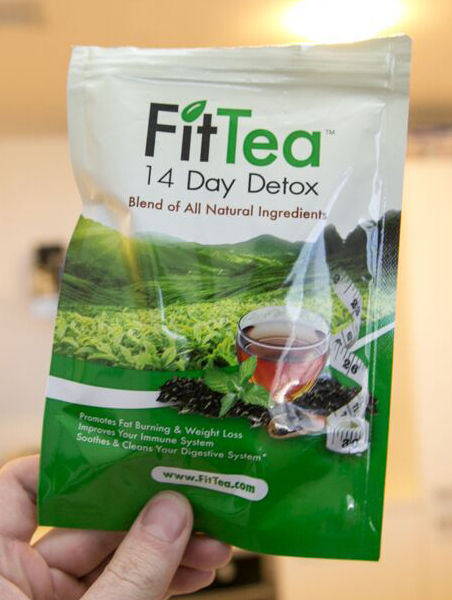 Fit Tea is a loose leaf tea containing a blend of certified organic detoxifying herbs. The tea is formulated to enhance your weight management program by boosting metabolism and energy when combined with eating a healthy diet and consistent exercise. The organic detox ingredients in Fit Tea, including organic green tea, Oolong Wu Yi, pomegranate, ginger, lemon juice, matcha green tea, have long been used all over the world to promote health. Caffeine has been shown to temporarily boost metabolism and energy. Fit Tea recommends using their detox teas if you are wanting to lose or maintain your weight, in addition to diet and exercise. Drink 1 cup of Fit Tea a day every morning, with or without breakfast. Eat healthy, well-balanced meals the rest of the day. The company itself makes no guarantees or claims of anything, especially weight loss, by using these teas. However, green tea is known for its antioxidants which fight cell damage, and caffeine has been shown to help improve energy levels and temporarily boost metabolism, so drinking green tea can be a good compliment to a healthy lifestyle.